Katy Perry recently released her newest single Last Friday Night. I loved her transition from being a geek to a party freak! I also liked the vibrant colors that they sported in the music video. So, I thought of imitating the actual nail art that Katy wore on TGIF video. It's that easy. 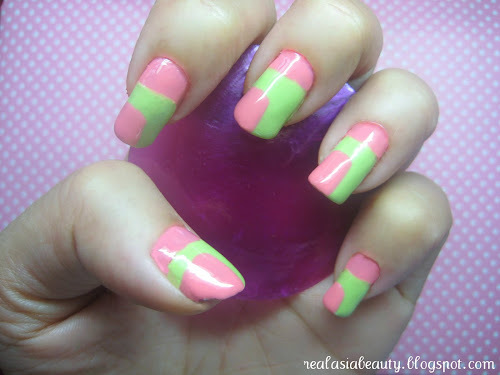 I hope you liked this simple yet funky nail art design.